A resume acts as a document summarizing and organizing all the important and relevant information about yourself. 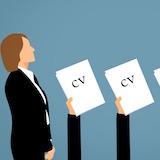 Having a good resume will increase your chances of landing that job! Include volunteer, community, and unpaid work. Include any jobs you held while studying, educational scholarships, awards for study, and high grades. Also, state the memberships you have or have had (for example, if you belonged to a Toastmasters club). Include any achievements you made at previous jobs - including projects outside of your job description. This includes being assigned significant responsibility (for example, budget management, event organization, etc). Include any promotions/extra responsibilities given to you. State how many years experience you have within your industry. Include positive feedback from your clients, customers or company. Include any published or presented work. Include why YOU are the right person for the job. Ask yourself, “What value would I add to a potential employer’s business?” Think about what kind of problems you’re good at solving, and how you would stand out from the rest of the applicants. In addition to submitting it to potential employers, posting your resume online is a great way to gain some exposure. You can post it on job-boards, community bulletin boards, etc. Check out www.quintcareers.com/indres.html to find a list of niche sites you can post your resume on.